YouTube is one of the most popular videos playing website in the world. Many software has been introduced to download the videos from YouTube. But these soft wares take storage space and memory of your devices. Therefore, here are some methods through which you can download the videos from YouTube directly without any third party software. So, you don’t need to download the space consumption software anymore as you can Download YouTube Videos instantly. The simple and free methods of downloading the videos are mentioned. Pick the best one and download YouTube videos now. First of all, go to the YouTube and open the video you want to play. Now, click on the URL of the page and write 9x before the YouTube in the URL. like this https://www.9xcom/watch?v=84G. Now, press the enter button. Various options for video quality will be shown like in this image. The video will start downloading. Firstly, go to the YouTube and open the desired video. After that, write ss before the YouTube in the URL. Like this one https://www.sscom/watch?v=84G. Then, chose the video quality options as displayed in the image below. That’s all, your video will start downloading instantly. Open the desired video from the YouTube and copy its URL. Now, go to the website of clipconverter and paste the link. 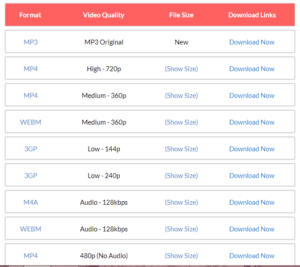 Then choose the video options like MP4, MP3, and many others. Later press enter button to download the video. After the processing of few minutes, the video will start downloading. First of all, go to the official site of the Save from. Now, copy the link of the video you want to download and paste in there. After choosing the format and video quality option and press ok. The video will take some processing time and start searching within minutes. Open the site of the VidPaw and paste the desired video link into the URL. Now, click search and video will start downloading after searching the video. 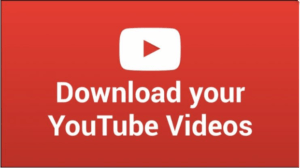 If you want to download a software for downloading the video, then these 5 downloaders are best one.